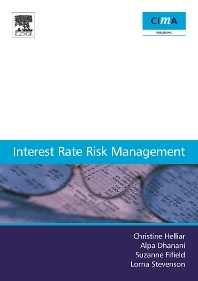 Executive Summary; Interest Rate Risk Management; Literature Review;Research Method; Interview Findings Questionnaire Survey; Summary and Conclusions. Financial risk management is currently subject to much debate, especially the accounting for derivative products, and a number of commentators are objecting to the introduction of International Accounting Standard IAS 39 for Derivatives that will be in force by January 2005 for all EU companies. The topic of hedge accounting and the treatment of fair values may have a significant impact on many companies reported profits, and the volatility of earnings is likely to increase. Uniquely this monograph focuses on interest rate risk management. Most studies of corporate risk management have typically dwelt on the topic of management of exchange rate risk, with interest rate risk management being neglected. The book’s findings examine the views of UK corporate treasurers who are usually involved in the risk management strategies of their organisation and who have responsibility for implementing those strategies in practice. Relevant to the imminent arrival of IAS 39, the International Accounting Standard for Derivatives that will be in force by January 2005 for all EU companies.